I have been loving the Neesya Illuminating Essence. 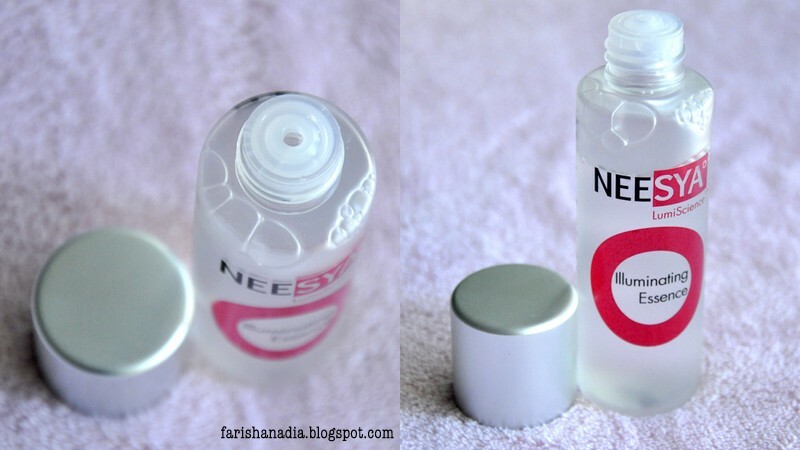 It has become a staple in my everyday skincare routine :D You can know more about Neesya from my previous post here. The Illuminating Essence is one of Neesya's signature product and it is in the LumiScience°TM range. The functions are high performance whitening, hydration, radiance and renewal. It is target for tired and stress skin to help boosts the skin's radiance. It is paraben and colorant free. The texture is just slightly thicker than liquid but still very runny. It is easily absorbed into the skin and a little goes a long way. What I love first about this is the smell. I don't know how to describe it but to me it smells luxurious haha. The packaging is sort of a mix of cute (because of the size), luxury (from a far the bottle looks like glass) and simple. It's not glass though it's matte plastic which feels smooth and light. It's just a twist cap and the opening is not too big and not too small so you won't get excessive product, unless you squeeze it but I don't recommend it. I think it is nice that they focus more on the product itself than to use expensive packaging thats not necessary. 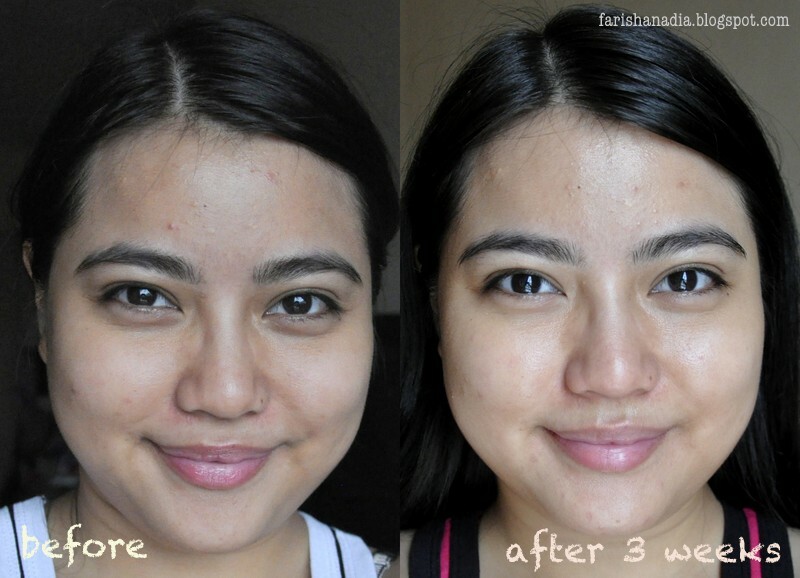 After using it for a few weeks, I do start to notice that my skin a glowing and looks healthy. It doesn't whitens but it does brighten up my face. It really helps especially on days I don't get enough sleep hehe. And my skin feels great after each application and I noticed the tone is a little even. It's not drying at all and it's a lil moisturising. A little note to remember, this is a water based essence and it can easily evaporate, so to prevent that you need to use moisturiser after, and as soon as it absorbs into the skin. Thanks for the great article and am glad you liked the products, especially the Essence! Miss Rosy Reveals her Secret to Rosy Pink Skin! Crack up Laughing with TGV Laugh Out Loud Month!